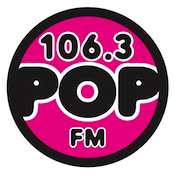 Update 5/6: KWNZ debuted its new format at 1:06pm as what they are describing as Classic Pop “106.3 Pop-FM“. The format focuses on CHR hits from the 80s and 90s that were played on the original version of KWNZ along with what seems like a handful of currents/recurrents with the tagline “The Hits Are Back”. Cluster Operations Director Willobee Carlan adds PD duties for KWNZ, with “Wild” Bill Shakespeare serving as APD/MD. The station’s imaging features Mitch Craig voiceovers and resings of 80s CHR jingles giving the station a very unique retro sound. Original Report 5/5: Times-Shamrock will launch its fourth and final new station in Reno on Monday, May 6. 106.3 KWNZ Lovelock, NV will go live at 1:06pm and 30 seconds bringing the heritage call letters back to the market. The call letters have been associated with CHR formats on 97.3 from 1984 to 2004 and then 93.7 until 2011. We reported last Summer on three domains registered for potential use for the station: 1063Froggy.com, 1063PopFM.com, and KWNZ1063.com. KWNZ is the final addition to the built from the ground up Shamrock Reno cluster. Over the past eight months the company has signed-on Alternative 104.1 KRZQ, Modern Standards “105.3 Martini Radio” KZTI, and Conservative Talk “107.3 KNews” KNEZ.